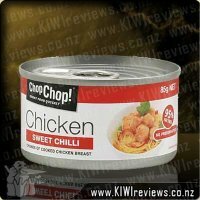 Hmmmmm I wasn&apos;t to sure about the whole &apos;chicken in a can&apos; thing when I first saw this on the supermarket shelves a few years back... to me chicken was something that it was utmost important to keep chilled and at safe temperatures because of the many sicknesses that can be caused by not doing so. I&apos;ve never been a fan at all of other canned meats on the market especially not canned tuna, but I knew I needed to at least give this canned chicken a once over sample at least, so I went for the flavour I thought id most likely enjoy - shredded with light mayo. Peeling back the lid from the can I remember my first impression being ahhhhhhh it looks like tuna (though different in colour the texture was VERY similar) however I was pleased by the amount of mayo that I could see coating the chicken and lived in hope that perhaps this may hide some horrid taste I was about to endure. I first tried a spoonful of this as is and found the mayo to be very watery which was the first of my disapointments really, the next was that the chicken which didn&apos;t taste much like chicken to me was what I found to be very stringy and also chewy that it took quite a while for me to swallow that first mouthful. I didn&apos;t want to waste the rest so popped it onto a sandwich with some cheese and salad, though I sadly have to say I just couldn&apos;t work my way through the whole thing so it just had to go. Though this may suit some people as a quick snack or meal it&apos;s not one for me, and certainly not something that I wish to buy again. Blerk! Sorry but this product for me is spew material! Yuck, one taste and to me it straight away tasted and felt (texture wise) like Tuna in a can which I cant stand! Tinned salmon is fine, love it, but tinned Tuna just makes me want to spew, even the smell is something I have to walk away from. I was rather disappointed i had spent the money to try it but then you dont know unless you try so I think I was more disappointed in the fact that I didnt like it! 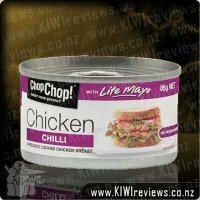 I was totally wanting to like it ~ chicken in a can ~ who would of ever of thought they would come up with such an invention. I love chicken, could eat it every night of the week as well as for lunch too but unfortunately this did not even taste like chicken!! Chop Chop! Chicken - Shredded with Lite Mayo....what a great invention!! When I first saw the product advertised on the television I was like what!!! 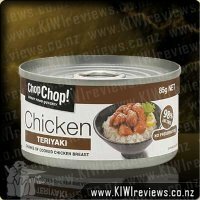 Chicken in a can...no way how can that be safe to eat?? The I thought well it won&apos;t be real chicken it will be processed somehow and probably taste yuck, but I was intrigued, so I had to buy some to try it. It took me ages at the supermarket to find this chicken in a can and then when I did I wasn&apos;t expecting such a range of flavours and textures of chicken. I played it safe and chose the Chop Chop! Chicken - Shredded with Lite Mayo, and it did not disappoint when I cracked the can open. My only complaint is there wasn&apos;t enough, it was so yummy I needed a bigger can, and I kicked myself for only buying1 can, but I didn&apos;t want to invest lots of money for something that may have been yuck. On my next shopping list Chop Chop! Chicken - was first on the list, and I bought a few different flavours but Chop Chop! Chicken - Shredded with Lite Mayo remained my favourite and my best flavour. It is perfect to match with bread, on toast or in a sandwich, on crackers, plain crackers or flavoured crackers, and prefect to pair with rice and vegetables as a small dinner, it is so versatile your imagination is your only barrier. I totally recommend this product and I still buy it even now, so yummy! and a flavour to match any liking. Go out and buy some now if you want to try something new and exciting. When my husband and I saw this on the shelf in the supermarket, like many others, we were dubious - chicken, in a can? How does that work - and how do they keep the chicken fresh? We gave it a gamble and have not been disappointed! 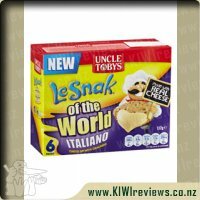 This is a great product to have in the cupboard, and is very very versatile. You can have it on a sandwich, with crackers, in a salad, heat it and have it with rice... and the list goes on. I like that there are lots of different flavours - and have found this one to be my favourite, as well as the teriyaki - which is awesome in homemade sushi. We always have it in the cupboard now at our house, but tend to buy the bigger cans when it is for the whole family. I honestly can say I recommend this, and think you should give it a go, you will be nicely surprised! 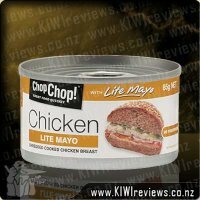 Who would have thought Shredded Chicken with Lite Mayo in a can? First thing that came to mind when coming across this product was, is it real chicken? Well it contains 80% Chicken; the other 20% is made up of the Lite Mayonnaise. So I am convinced. As a non-seafood eater, Chicken seems to be the major meat I eat, and I actually do like this product, has a great taste, great texture, just the right amount of mayonnaise and is easy to spread. Only downside is the price, but it does get cheaper the bigger you buy. 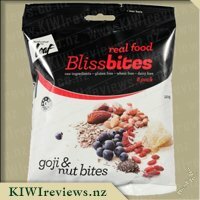 You can actually buy a 1KG catering pack from a wholesaler; this is great if you can eat it all within 2 - 3 days of opening. It&apos;s high in protein, which is great for people that are dieting or building muscle growth. You can either have this on its own, or with boil rice, in a salad, on crackers, or spread on a sandwich. This is a must buy in my household. Found hubby hadn't used two cans of the Lite Mayo flavour, so cracked one for trying on plain crackers. Firstly, a few with nothing else, only the shredded chicken. Then, a few with a butter substitute spread first, Then a few with a quick chefy-style swirl of sweet chilli sauce. Each of the three were originally intended to test only one, but one became a few of each, as the shredded chicken is tasty enough to me. I've also since then made sandwiches using the lite may shredded chicken ChopChop. 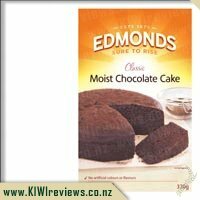 Tasty, pleasant change - but if sandwiches need to be carried and kept until lunch break, I'd want a slice of lettuce between the moist filling and the bread. Other flavours are definitely going on the shopping list, but I'd be quite happy to have with this basic Lite Mayo flavour. When I first got this, I was quite dubious about eating it, but I needed something to spread on my crackers, and since fish isn't my thing I thought I would give this a try. 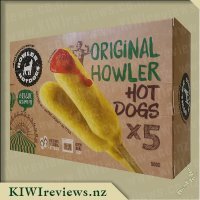 I found that for the price, I thought it to be a little expensive, given the amount that you get, but when you factor in the convenience of it already being cooked, have flavour, and edible directly from the can, the price wasn't as much of an issue. The mayo was ok, but a bit too watery, so I needed to drain the can before I could use any of the chicken, otherwise it would have been a watery mess. The flavour wasn't fantastic, but it wasn't awful either. A good product, but I think that I will try a different flavour next time. Chicken in a can .... ok so being honest i really cannot get my head around it. There must be some interesting additives to keep it ok to consume. When i tried this i was very bias and unsure about eating chicken from a can. When i put that aside, it really wasnt too bad. Similar to tuna i guess it was good in my sammy with salad and worked in my salad as well. I found that this one held together well in my sammy because of the mayo, but it did lack flavour, so perhaps a sweet chilli and mayo one would be perfect for me! 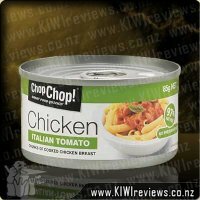 I haven't re brought this, only as I'm not so keen on the whole idea of chicken in a can - but it is handy if you're into it! I like that the hens are cage free and that it is Halal certified. A guy i know eats this all the time for lunch - so can't be too bad!! I also think its on the expensive side and prefer to buy my chicken fresh. Chicken in a can! Who would have thought?? 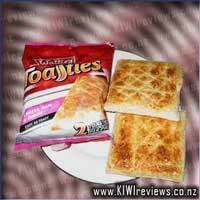 This wasnt my most favourite flavour but I still enjoyed it. I added this in a sandwich...Yum! No need for added mayo as this had just the right amount. This is a wonderful "basic base" to use, and add your own "highlights" as the mood strikes you. For me, this was wonderful to add some freshly diced capers and some ground black pepper to, and put it across toast points for serving to guests. Though normally I would be horrified at the thought of using canned foods as guest nibbles, not only did no-one notice, but I received many compliments on the dish. Emboldened by this success, other dishes made with other Chop Chop flavours followed throughout the gathering, and not a single complaint ensued. This, for me, is a very telling compliment to the product, as the people I had visiting consider themselves to have very educated palates, so it was a guilty pleasure to have them raving about how "it simply must be free-range chicken. 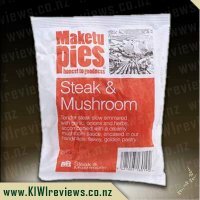 The delicacy of the flesh attests to that" and how I "clearly shopped at only the top-line gourmet stores to source such wonderful ingredients" - if only they knew. I was even "accused" of importing the ingredients! Me, I am hardly of the "upper crust crowd" so have no problem with buying store-bought goods for use around the home, but this was a party for some business contacts and though I won't say this product range helped me win them over, I can say that I have another year of contracts ahead of me thanks to the success of the party. The way to a man's heart is through his stomach, true. But it's also the second fastest way to his wallet. In summary: Another winner, and on the shopping list for the lead-up to the next social gathering we have planned. When I first heard about chicken in a can I was VERY dubious! But I figured I'd give it a go and I am hooked! I was very pleased with just how fresh and tasty this is. It also fits in perfectly with my preferred healthy eating and is fabulously convenient to have on hand in the pantry. 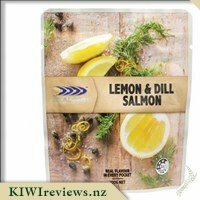 This is one of my favourite flavours for using in my home-made sushi, because it is shredded it is really easy to add in, I just finish it off with some strips of cucumber or carrot. The kids love it too! Will be keeping this in the pantry! Maybe it is my years of tastebud-abuse with chilli sauce, garlic sauce, tomato sauce, and even mustard sauce... but this version simply had no real flavour for me. The chicken was tender, and being shredded it certain was easy to spread out in a layer on crackers, toast and even a small sandwich for Mr3 (who thought it was "dewishis! "), so if your tastebuds are able to pick up on the taste, this could be just the thing for you... but not, I am sorry to say, for me. 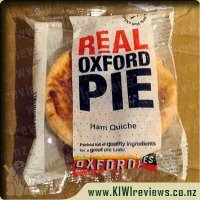 Overall, though I am strongly certain the fault lies with my tastebuds and not the product (as evidenced by a picky Mr3's effusive praise) I can not in all honesty say much about the flavour, not being able to detect any myself. Big Al runs the outfit, (with Mama's guidance of course), and it ain't easy being the boss. 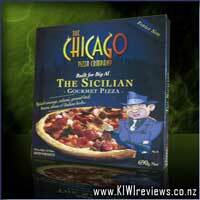 Which is why he goes for The Sicilian - the Godfather of frozen pizzas. It's got a premium base, quality toppings as far as the eye can see, and of course - our famous secret herbed sauce. Big on looks and big on taste. So the next time you gotta reload, whether it's a sit-down with the family - or something to feed the crew - think Big Al's Chicago Grand - the Pizza made by a made guy.